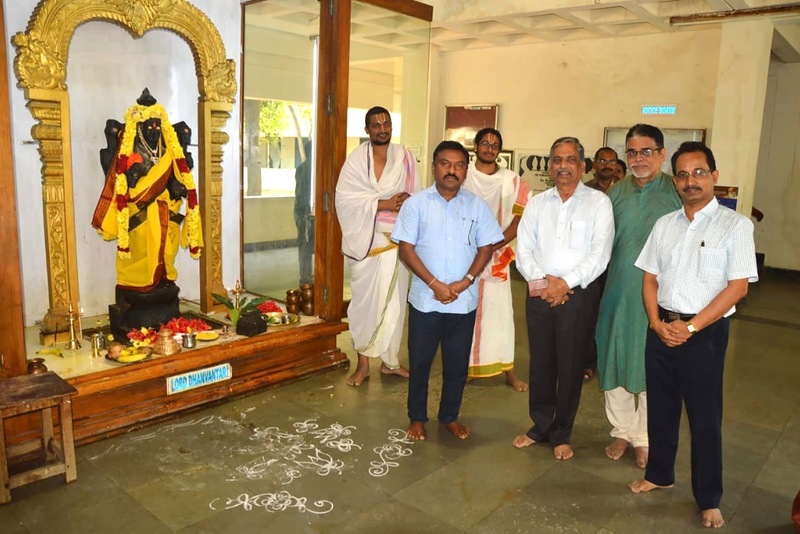 Tirupati, 5 November 2018: In connection with the National Ayurveda Day, Dhanwantari Jayanthi was observe in TTD Ayurvedic college in Tirupati on Monday. Tirupati JEO Sri P Bhaskar who graced the puja said, Dhanwantari is revered as God of Ayurvedic medicine. He said, TTD as a part of Hindu Sanatana Dharma is encouraging Ayurveda studies and protecting the ancient Indian medical system. The college Principal Sri Shankar Babu, Dr Muralikrishna and others were also present. On the eve of National Ayurveda Day, a free medical camp was organised by the TTD Ayurveda hospital in Vasisthasramam school on Sunday at Ravanappa village where in 500 public under free ayurvedic medication for different ailments.